We are in the midst of Oscar season, with many critics going over the highlights of 2018. And while we have our own version of that in gaming, what would happen if Sony Santa Monica’s PS4 hit God of War was a movie? A fan-made poster of the hypothetical film adaptation has me wishing it was something more readily considered. God of War on PS4 is a masterpiece of a game. Plain and simple. It is the reason that it was DualShockers’ game of the year last year and my personal one as well. In my opinion, this title excels in every single aspect and is the closest thing to a perfect game I have ever played. It might be the most gorgeous experience you can play right now. The combat was spectacular. The story was revolutionary for video game narratives. If God of War tried something, it succeeded in every single way. There’s no reason to think that level of professionalism and expertise wouldn’t project onto movie screens. As you can see, this poster is a work of art. Not only because of the fine attention to detail but because it perfectly captures what God of War is all about. On top of that, because of the extremely small but moving narrative, the poster was able to feature all of the main pieces to the story. Of course, Kratos has to be front in center since the narrative revolves around his character development. However, I am happy to see some of my favorite characters from any video game Brok and Sindri be featured. The back and forth between the two, always trashing the other brother’s work, had me laughing throughout my first playthrough. It also nice to see that Brok’s ferociousness and Sindri’s worrisome self were captured as well. The World Serpent creeping behind is also a nice touch. Of course, there have also been professional artistic re-imaginings of God of War. Lest we not forget how Sony Santa Monica partnered with a local artist to create a sleek Limited Edition Holiday Art Print. Meanwhile, Sony is toiling away at making Naughty Dog’s The Last of Us via a film adaptation. Give God of War some love! 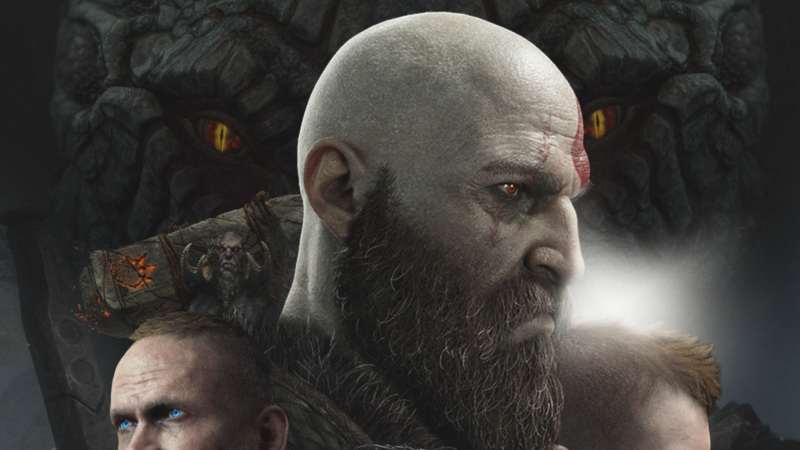 The post God of War Fan-Made Movie Poster Is a Work of Art by Grant Huff appeared first on DualShockers.